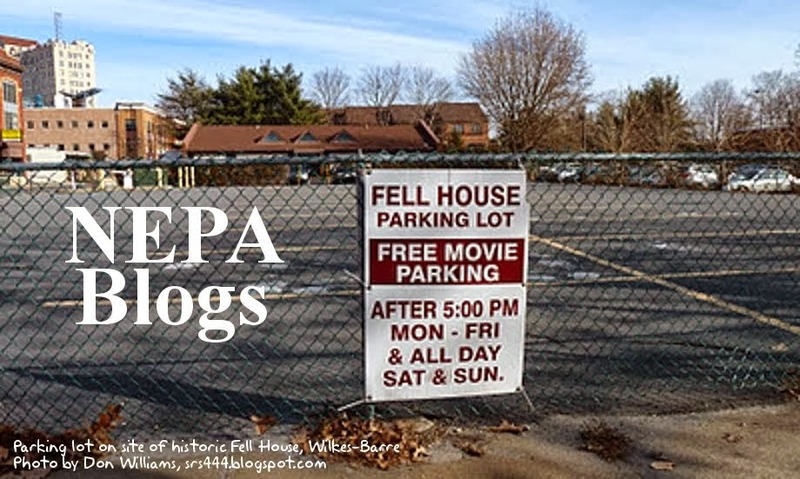 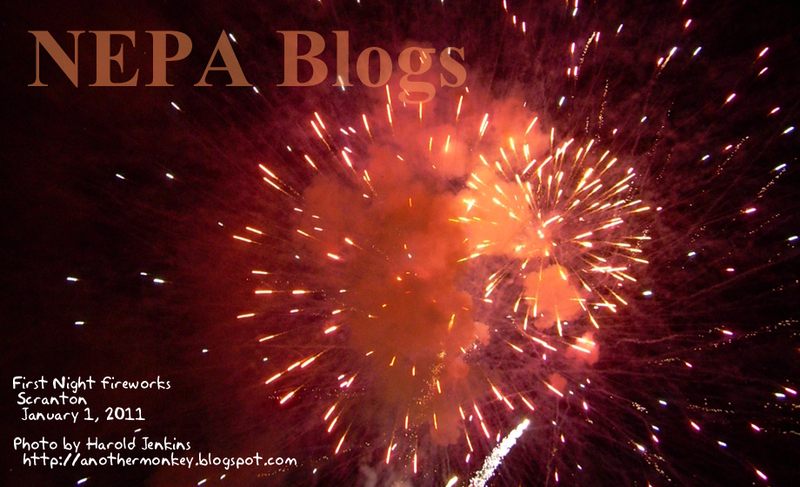 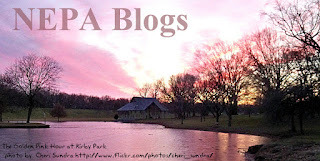 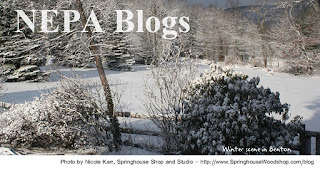 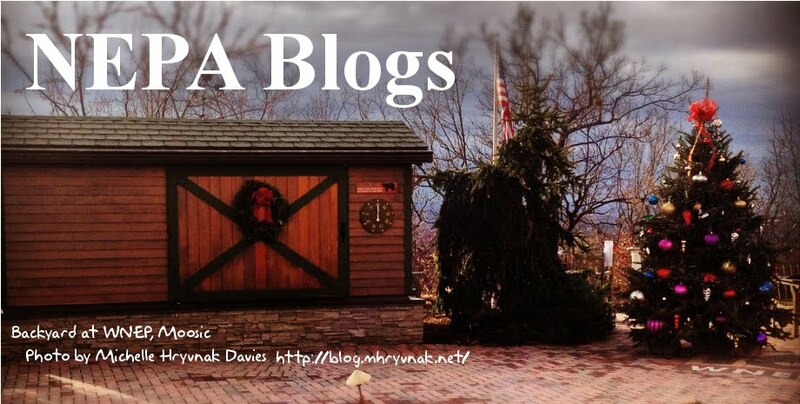 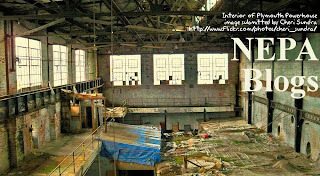 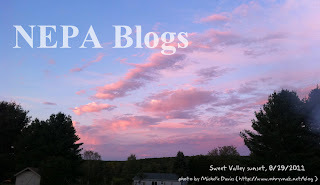 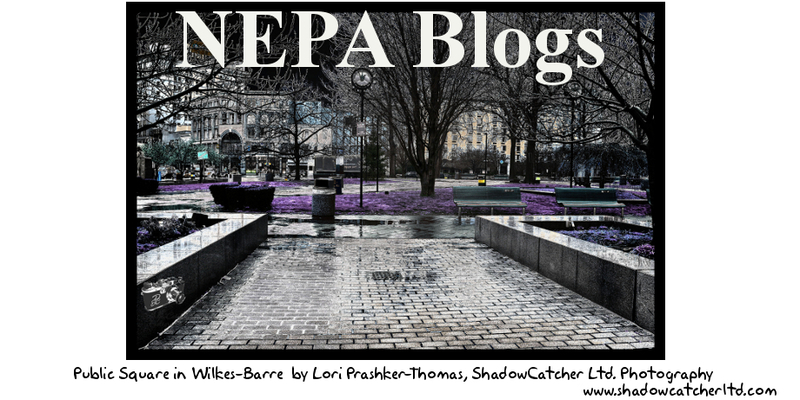 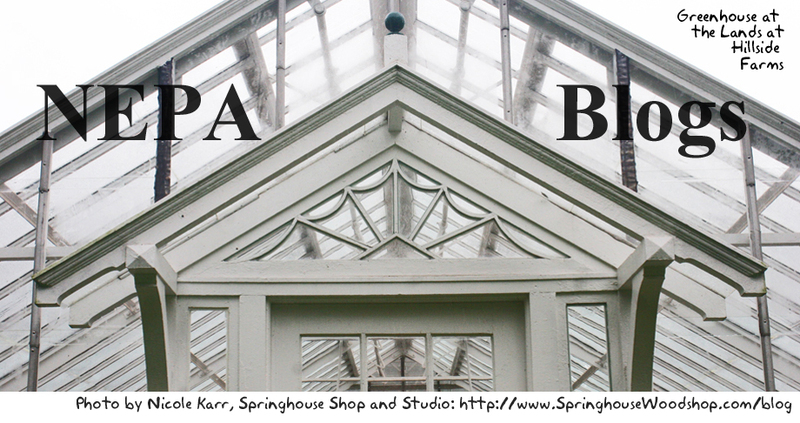 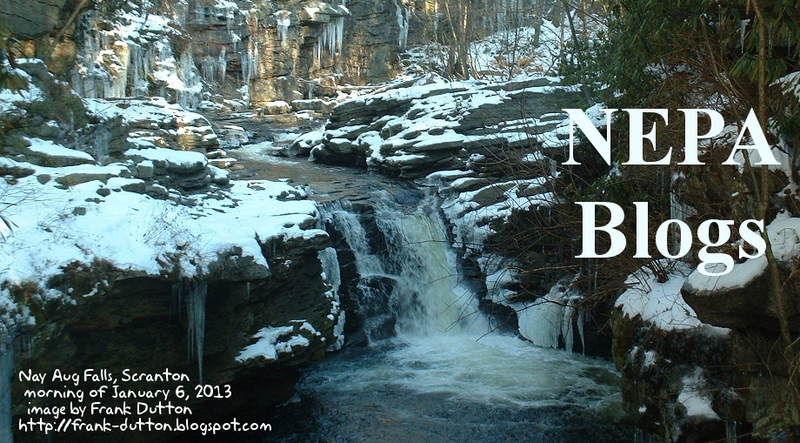 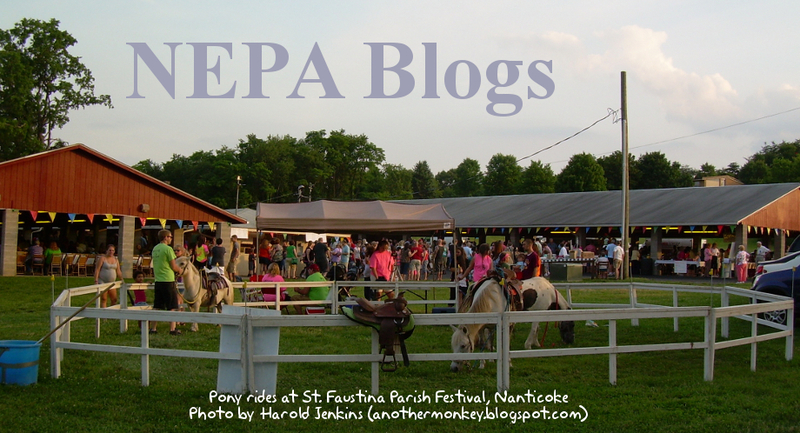 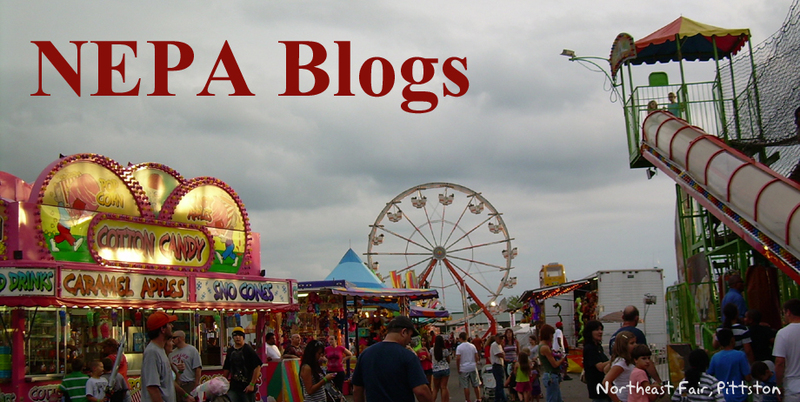 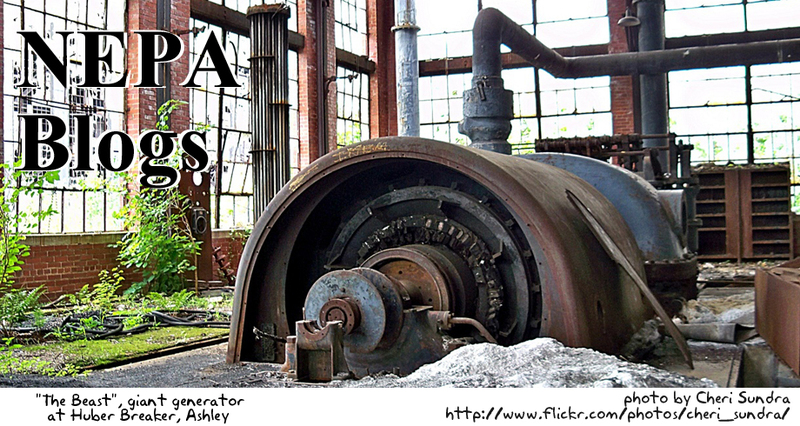 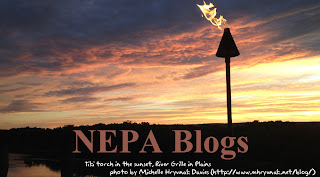 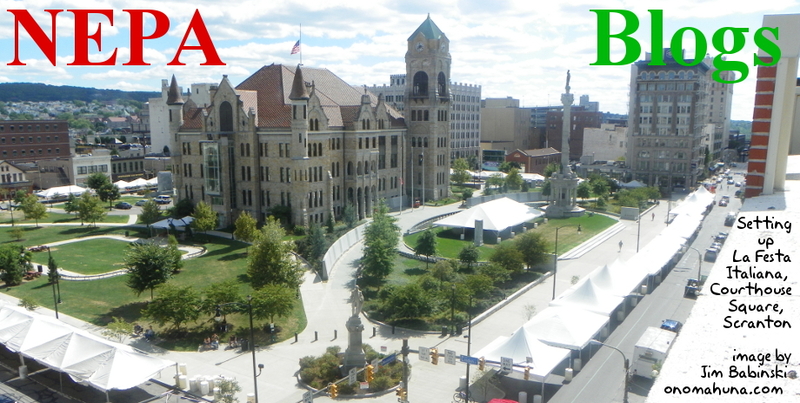 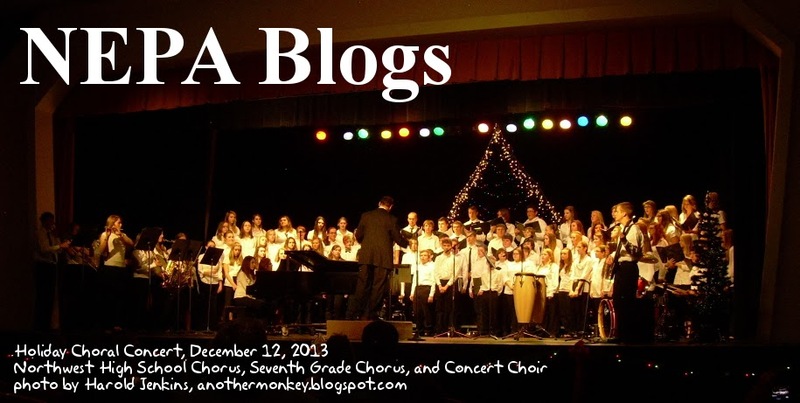 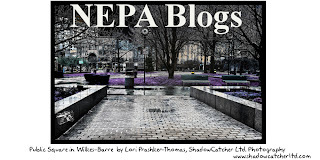 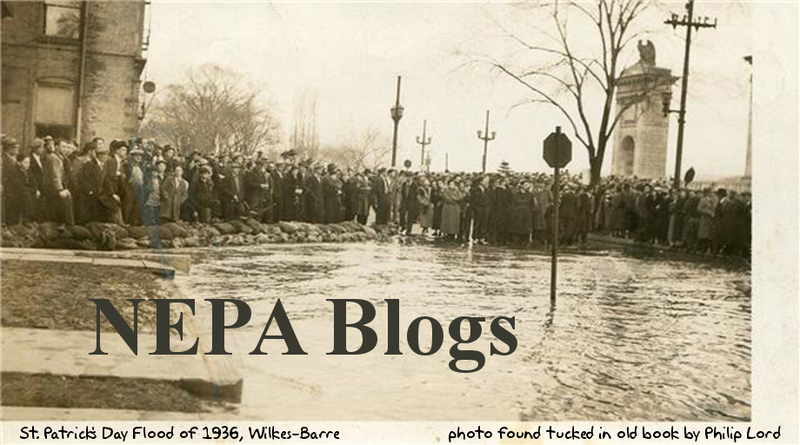 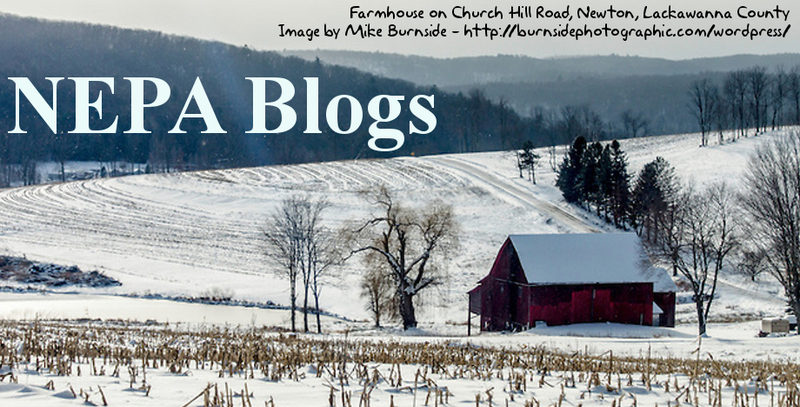 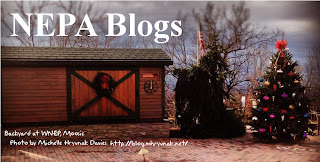 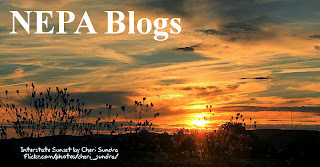 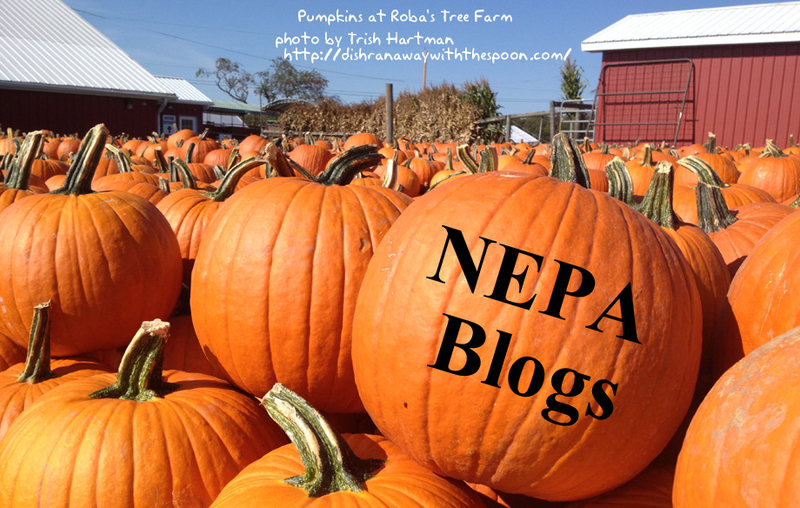 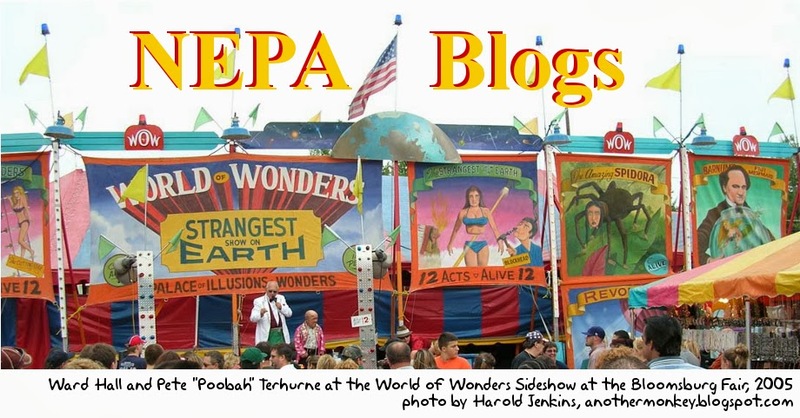 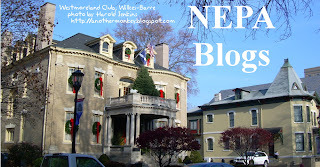 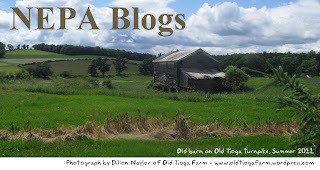 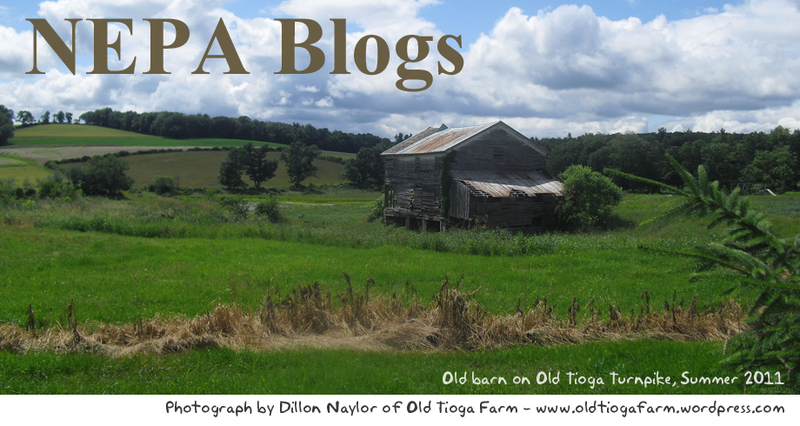 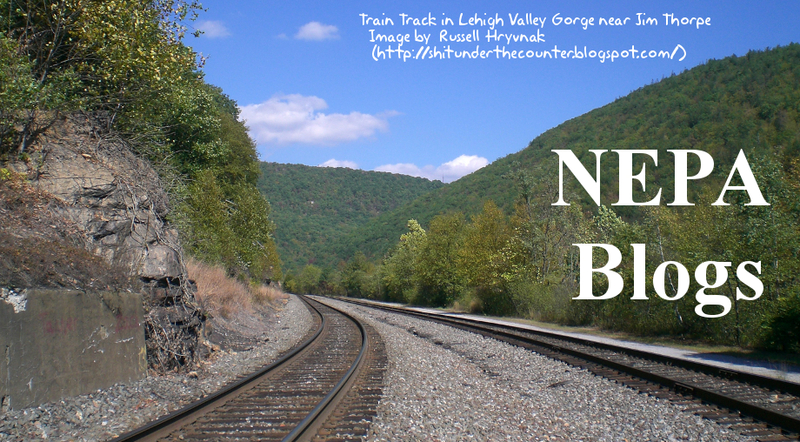 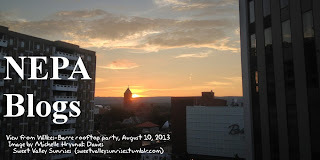 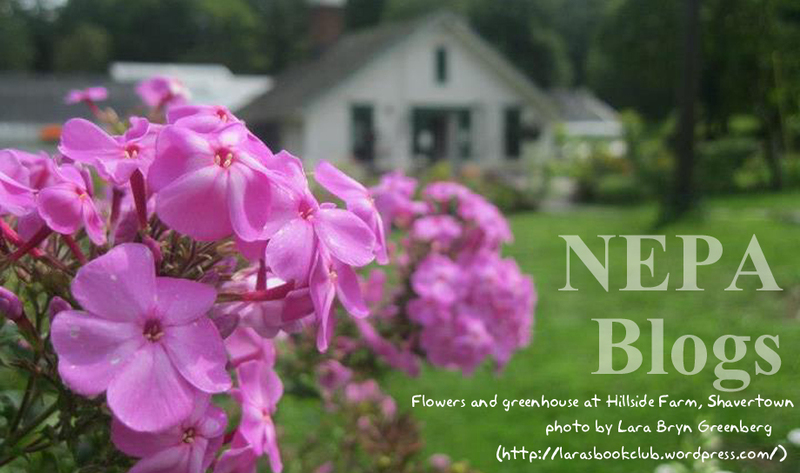 One of the changes we made when Michelle Davies revived NEPA Blogs this past April was to the header. 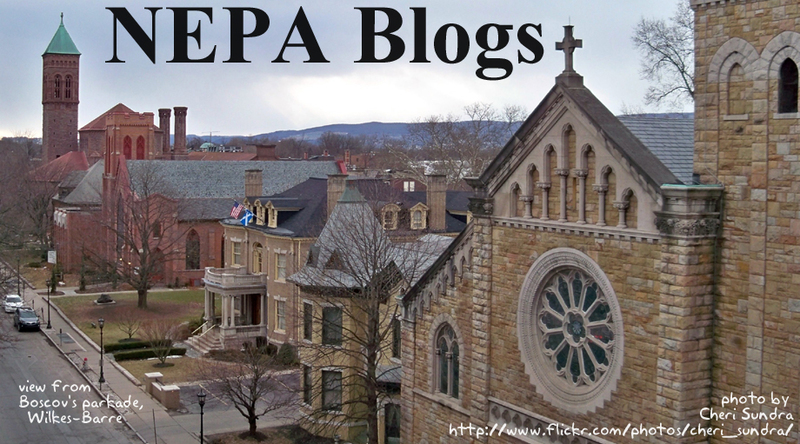 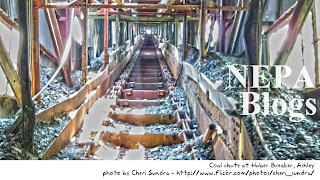 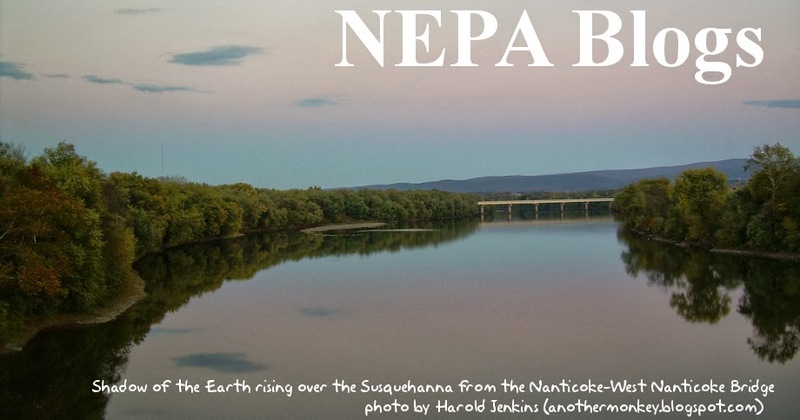 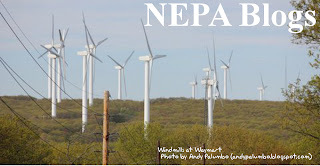 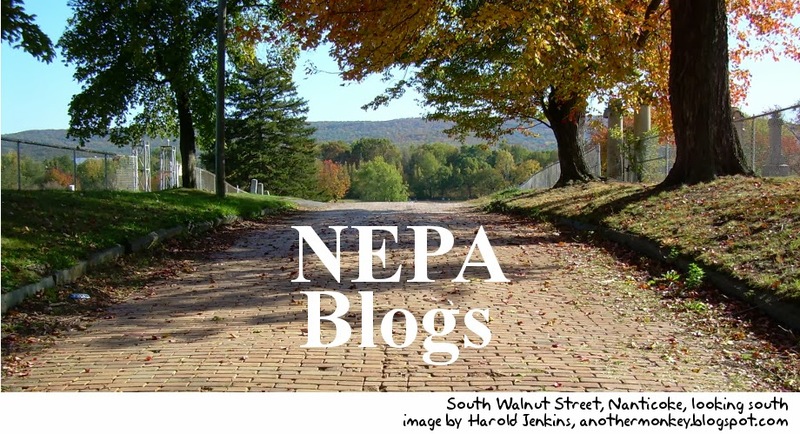 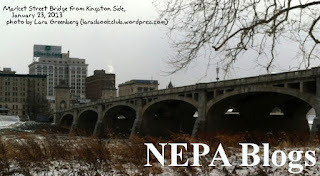 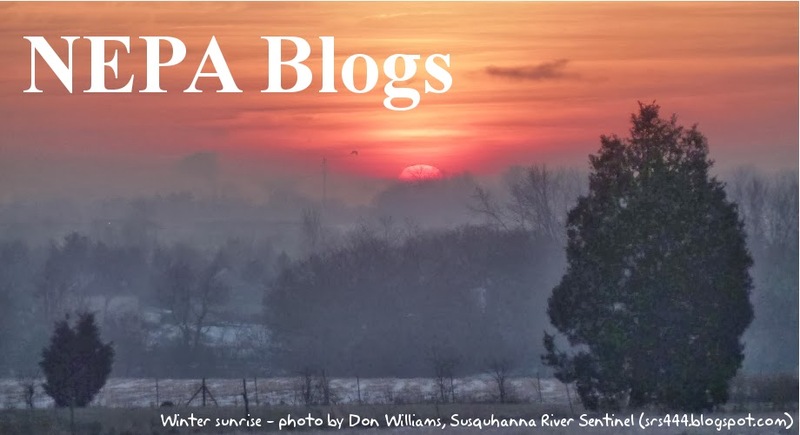 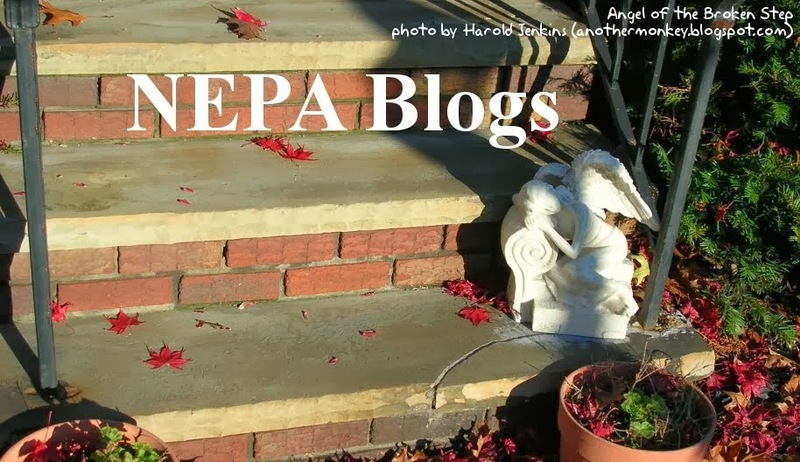 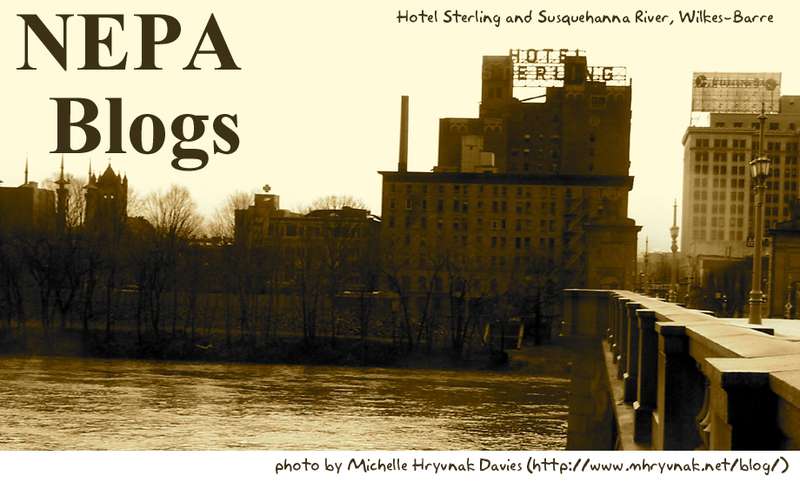 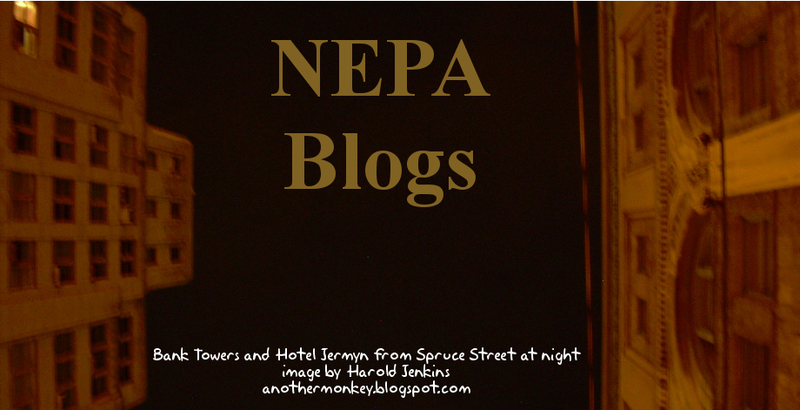 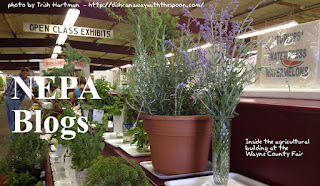 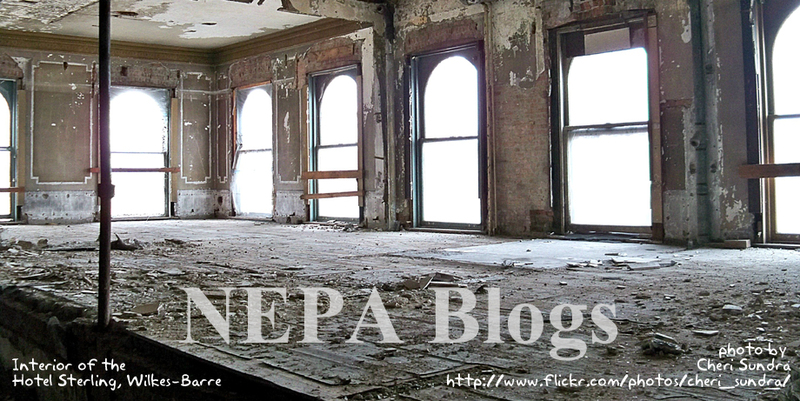 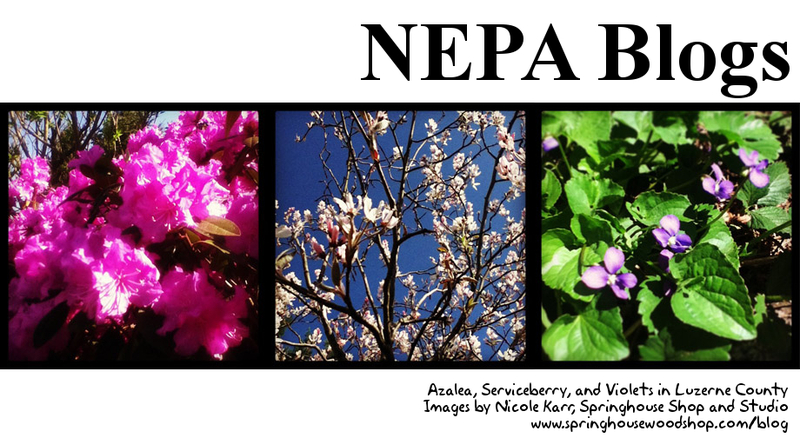 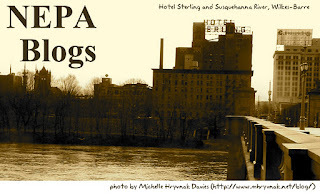 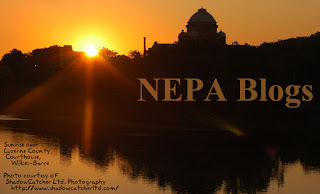 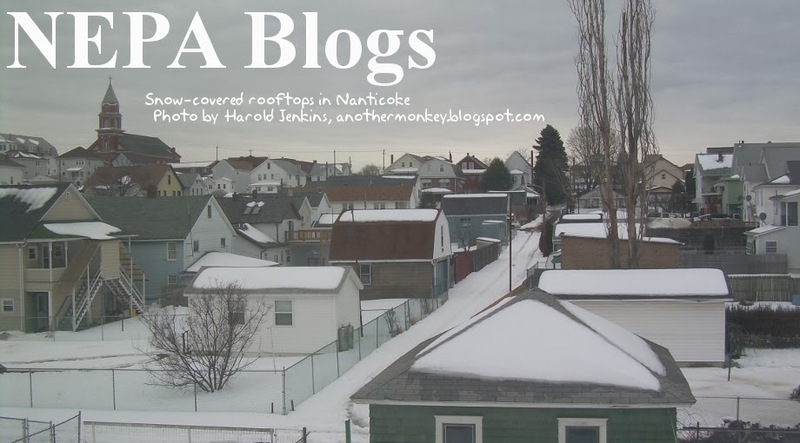 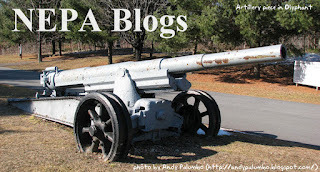 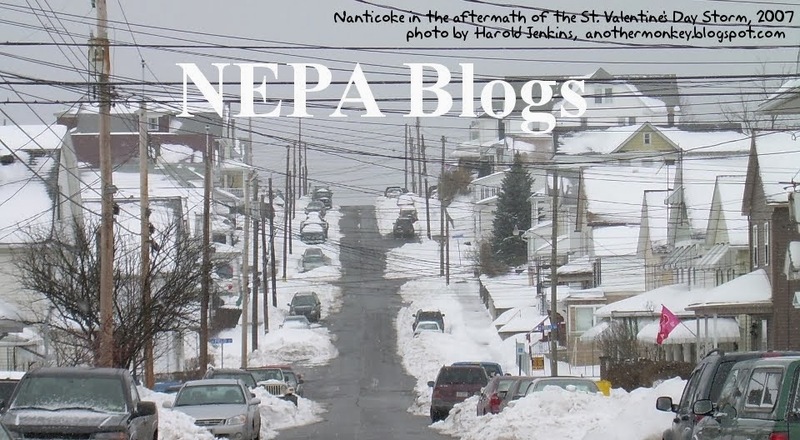 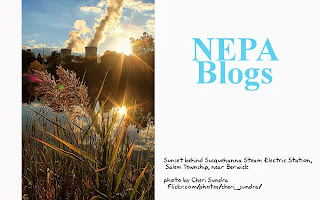 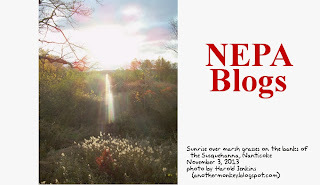 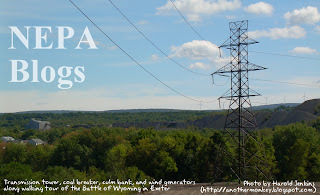 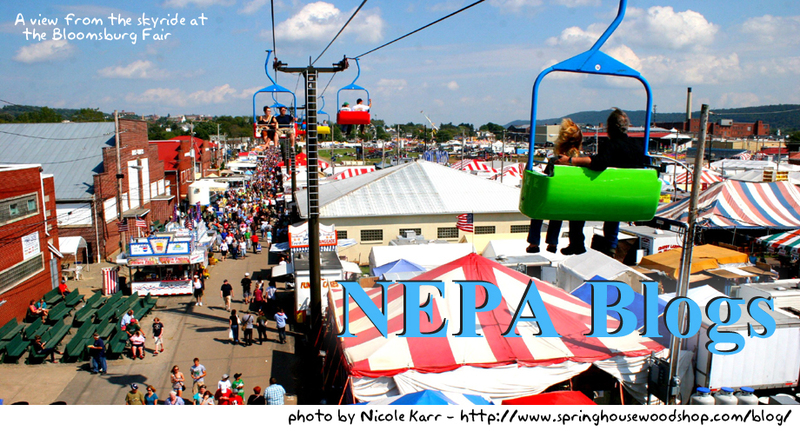 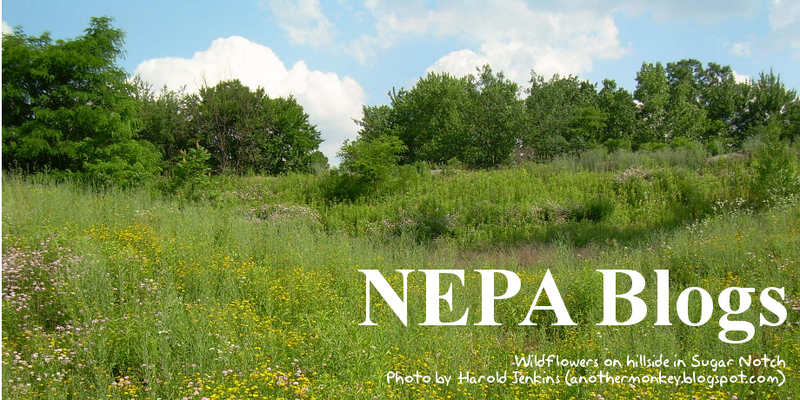 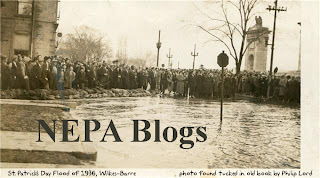 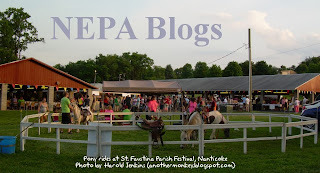 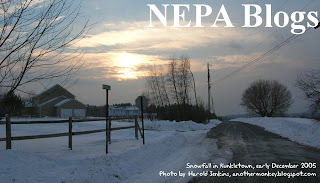 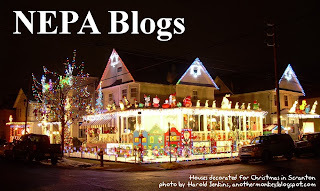 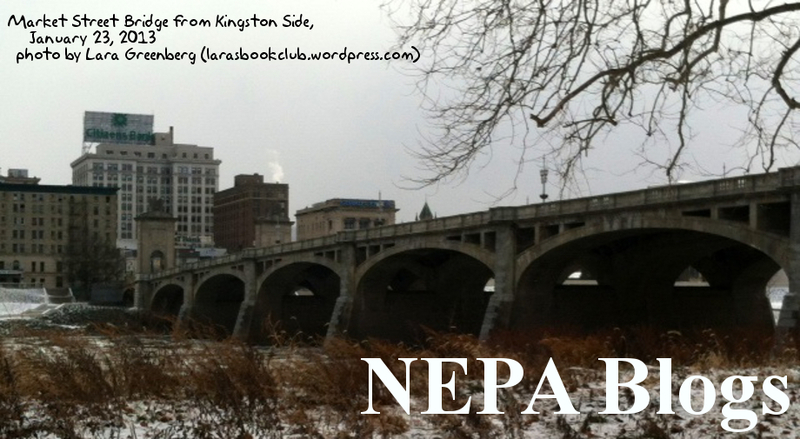 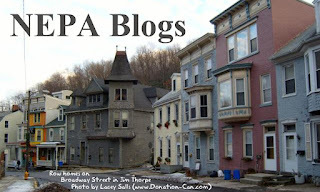 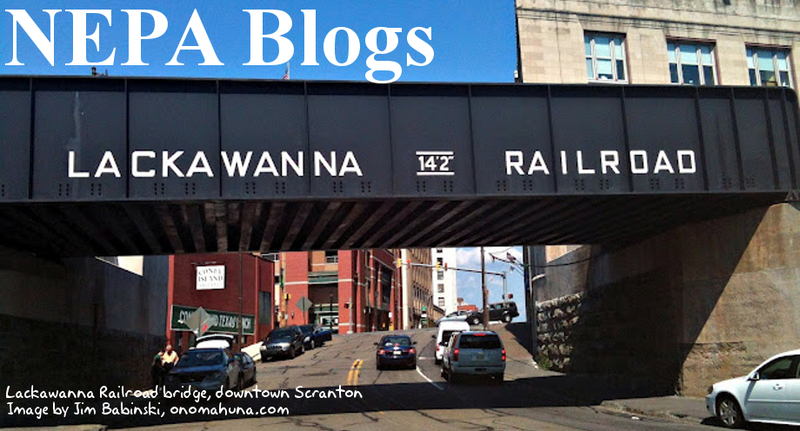 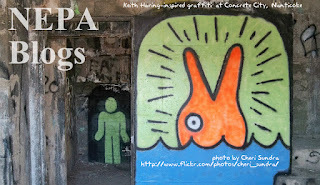 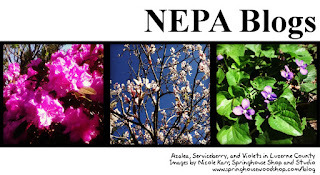 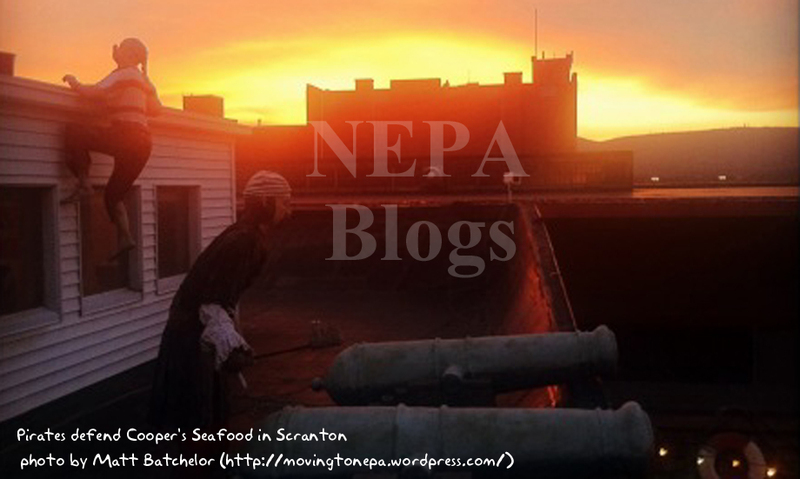 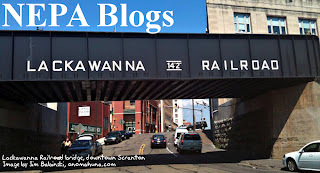 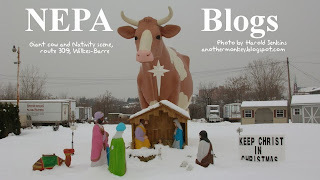 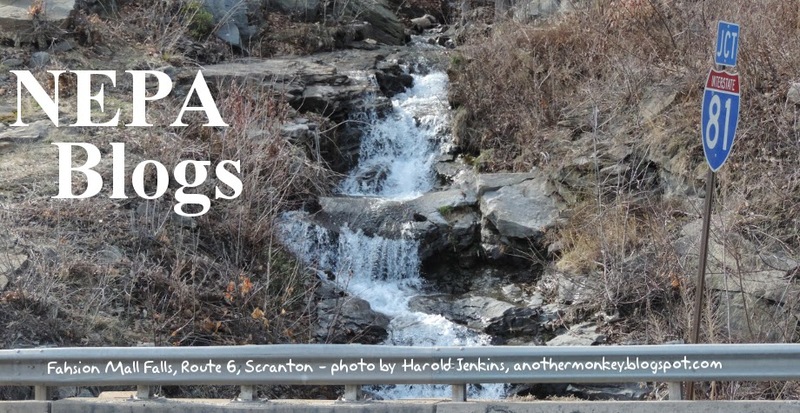 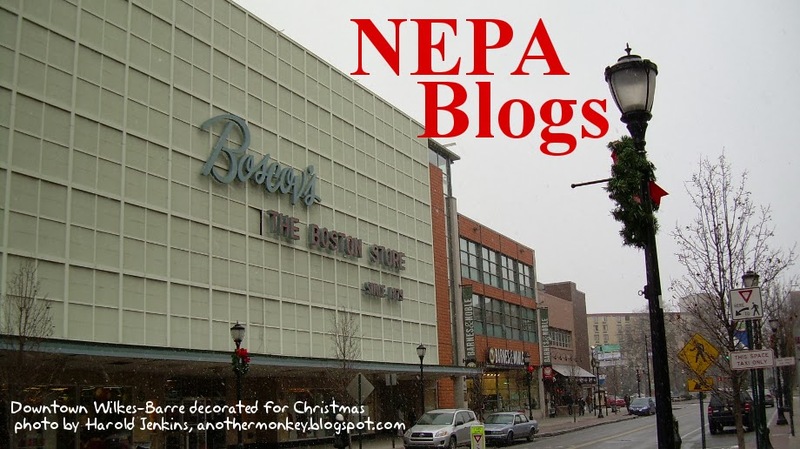 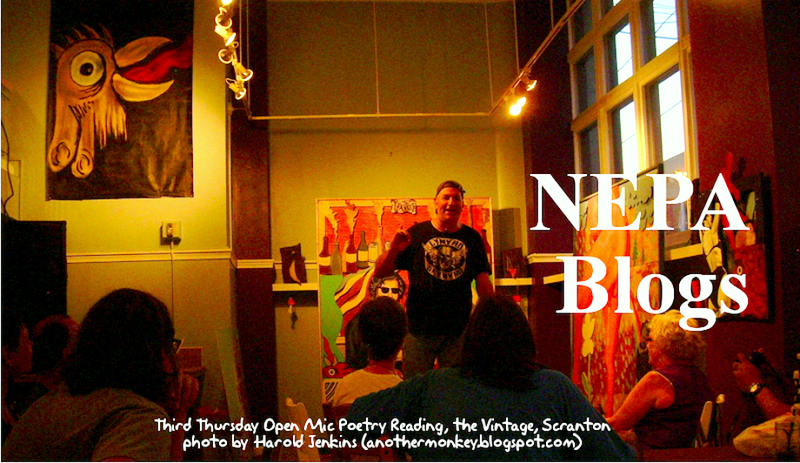 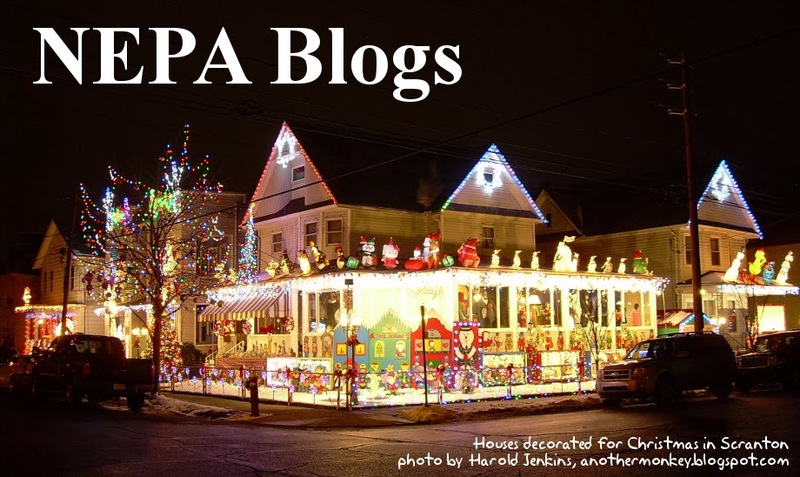 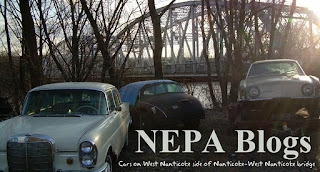 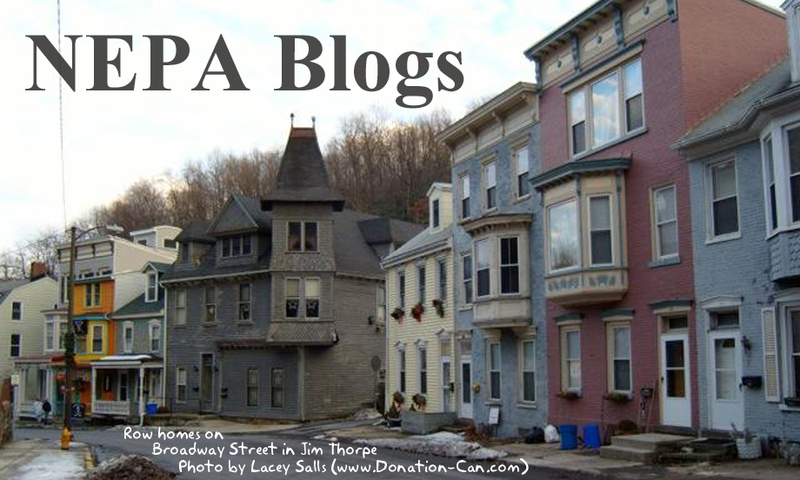 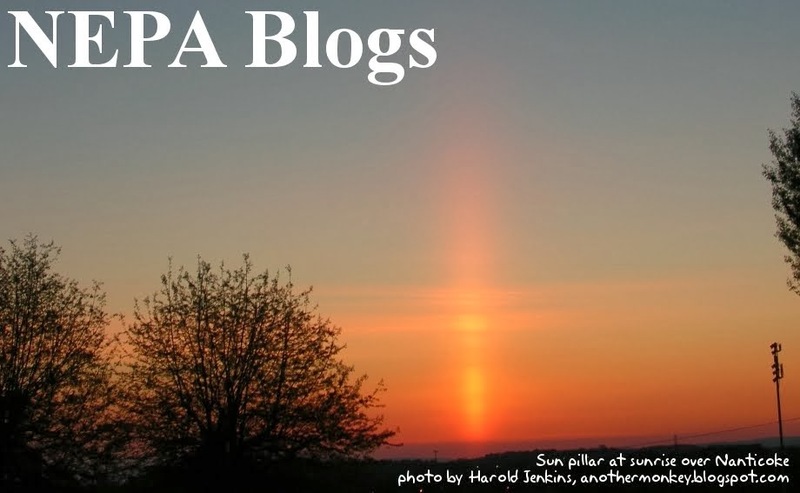 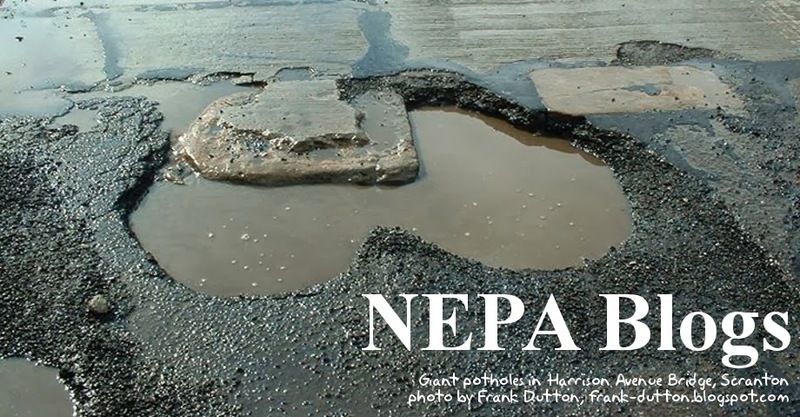 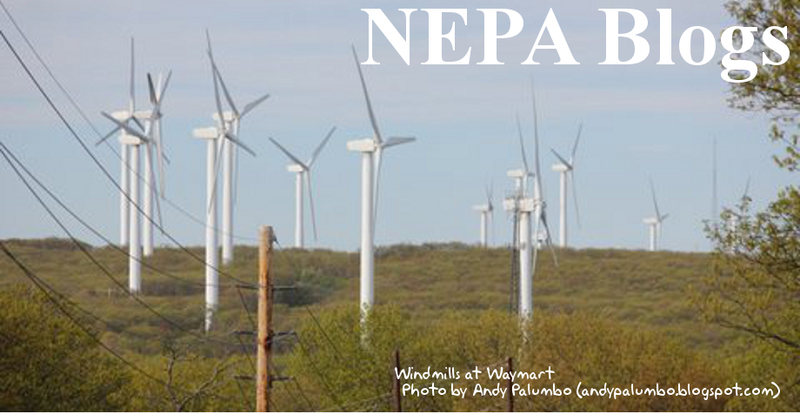 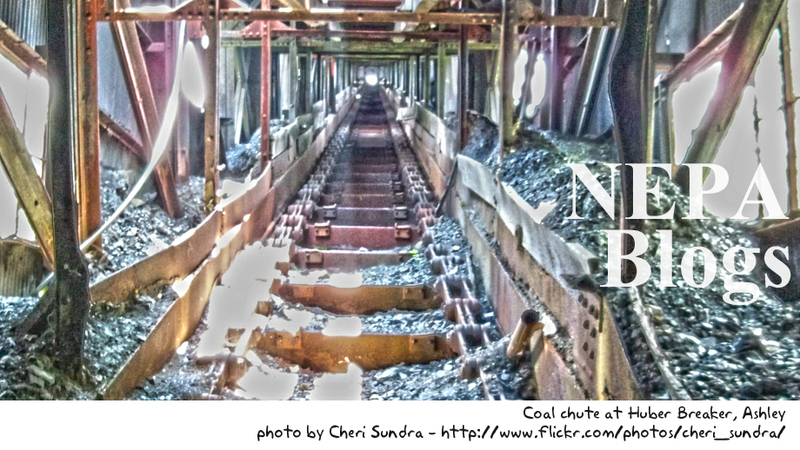 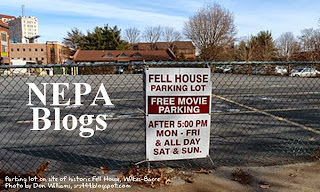 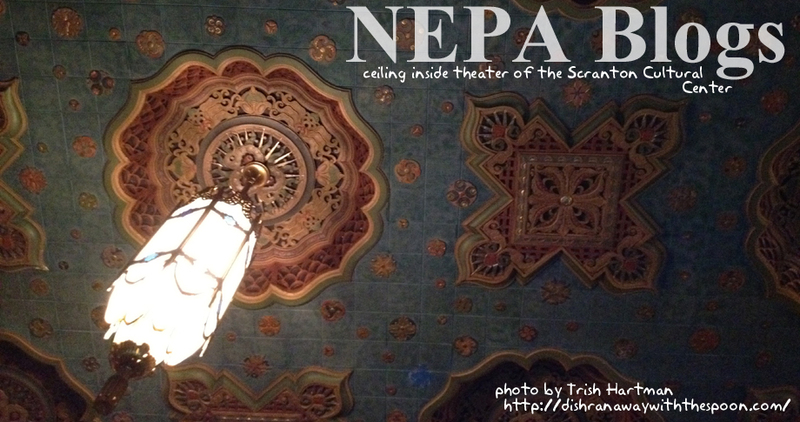 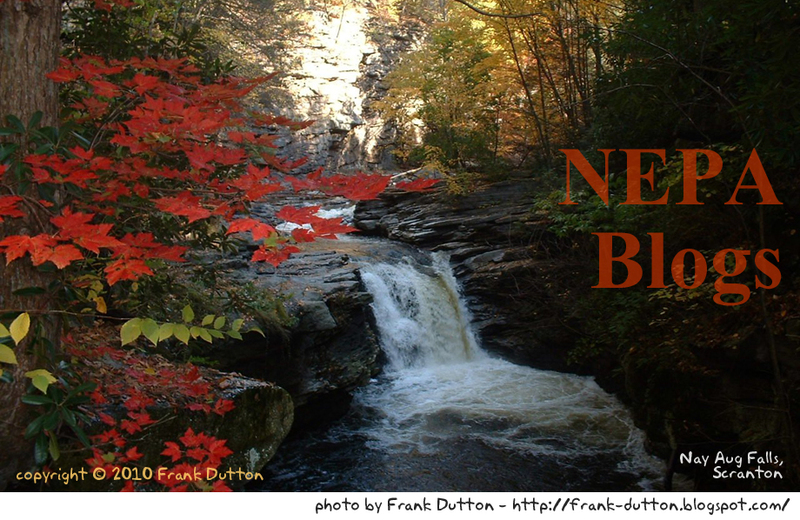 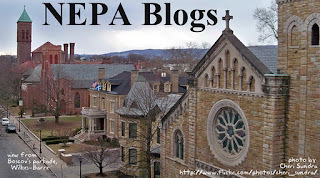 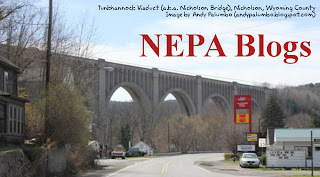 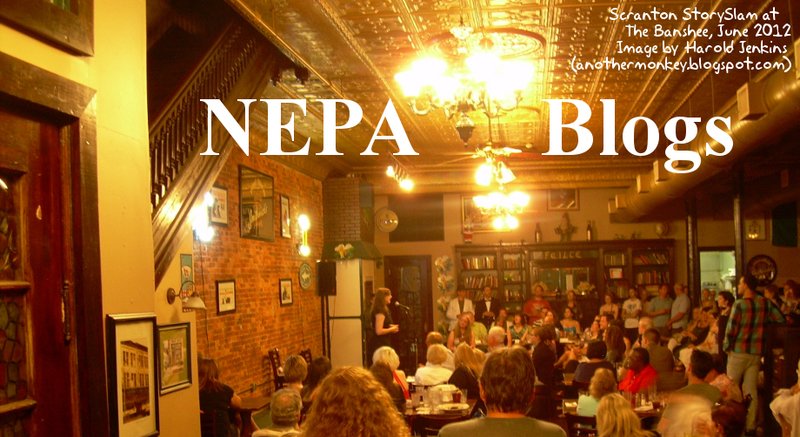 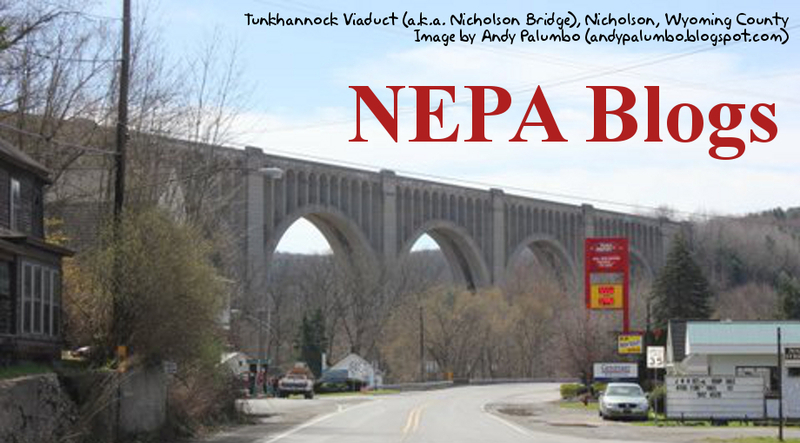 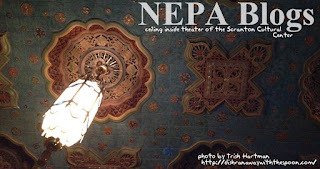 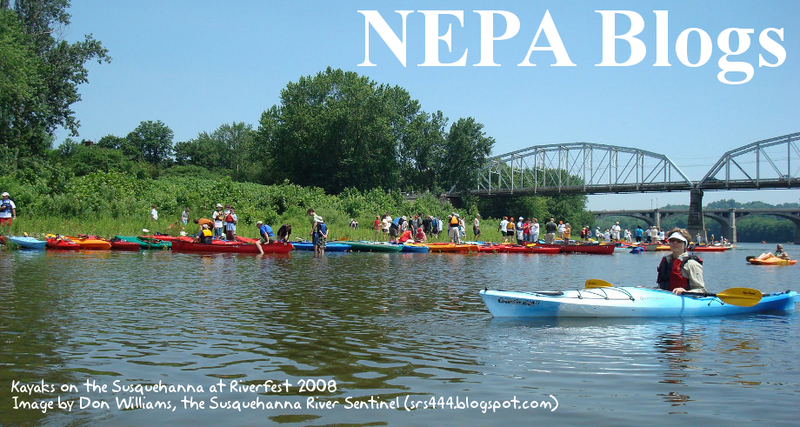 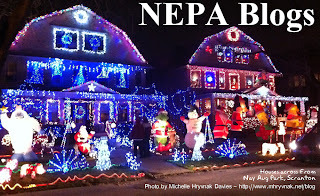 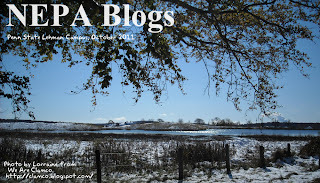 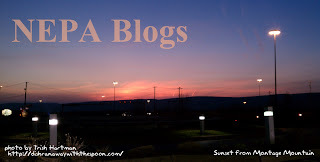 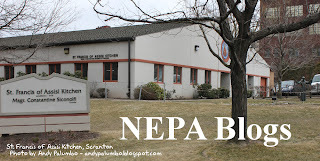 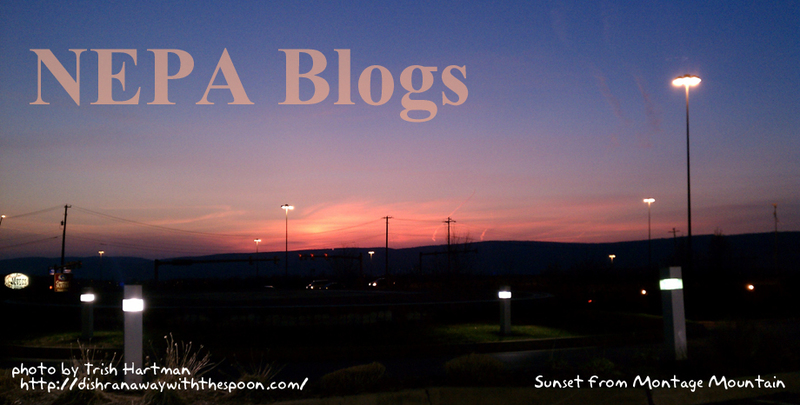 For a few years a single image had been posted at the top of the page, separate from the "NEPA Blogs" title. 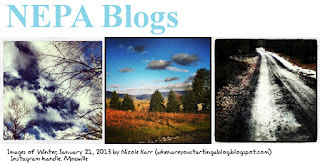 Michelle worked out a way to incorporate the title into the image and post the entire image as a header in place of the text title. 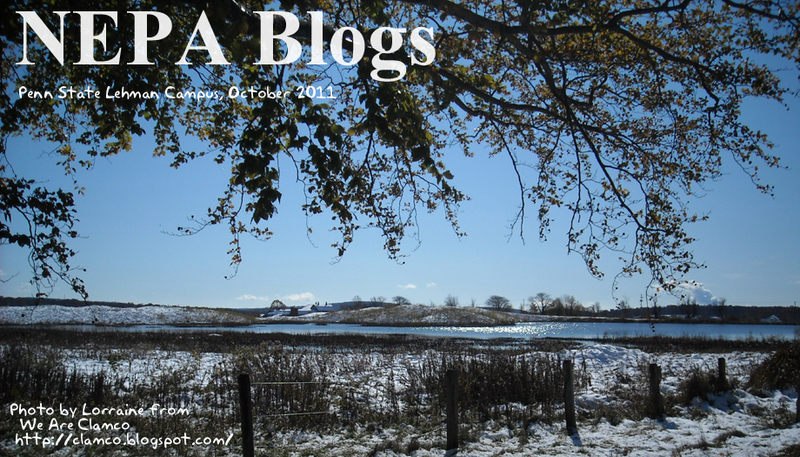 It then became a simple process to create new headers and post them on a regular basis. 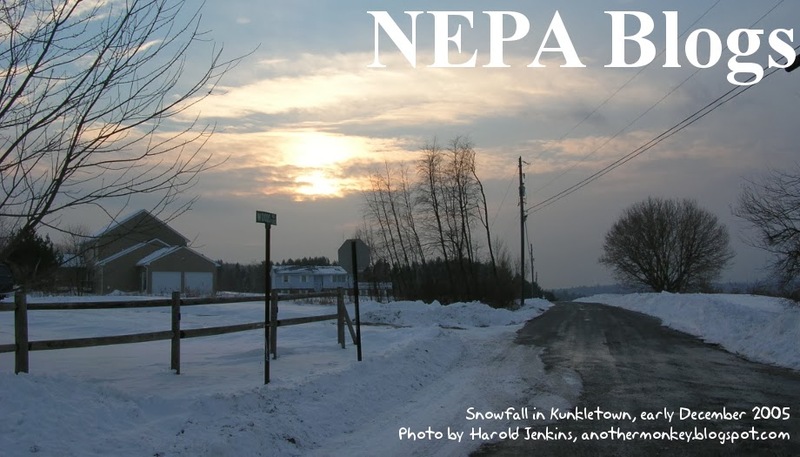 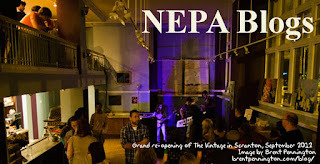 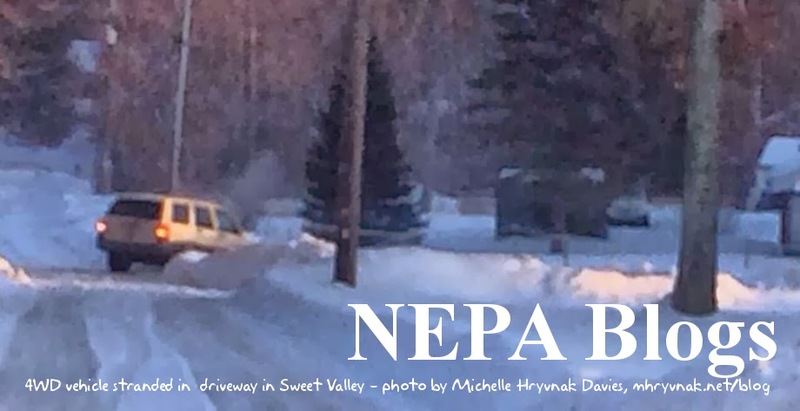 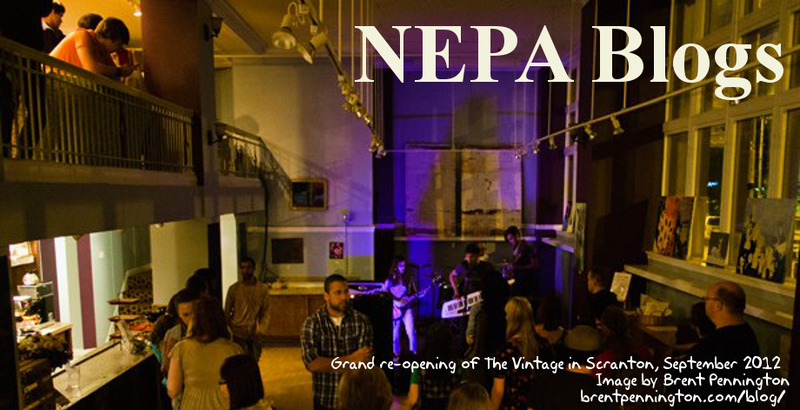 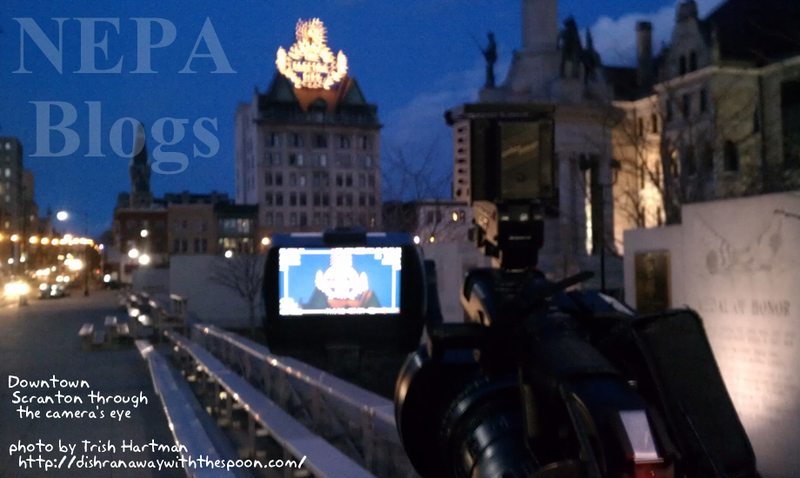 For a while this was twice a week, but as we went along we realized that we were burning up the available supply of iconic images of NEPA, and any submitted images weren't being displayed long enough for anyone to show off to all their friends. 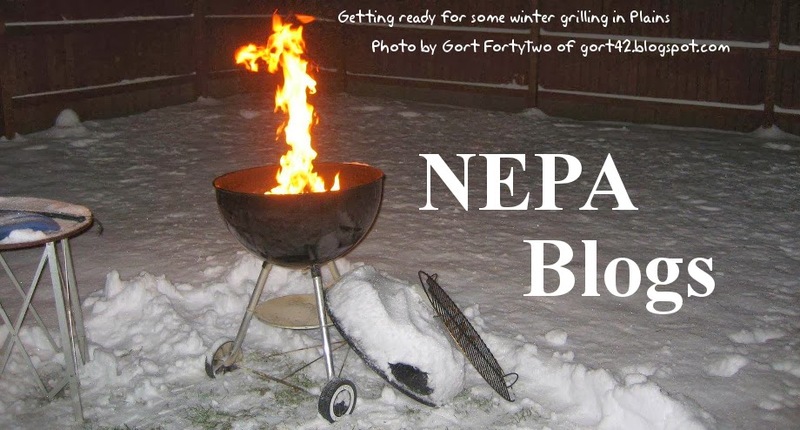 So now the image changes once a week, every Wednesday. 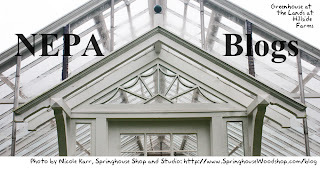 The image layout has some basic rules for consistency: all images are 72 dpi and 920 pixels across, with the height being no more than two-thirds of the width (or so.) 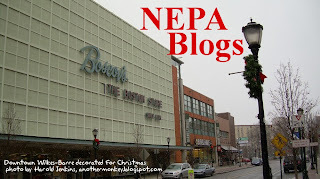 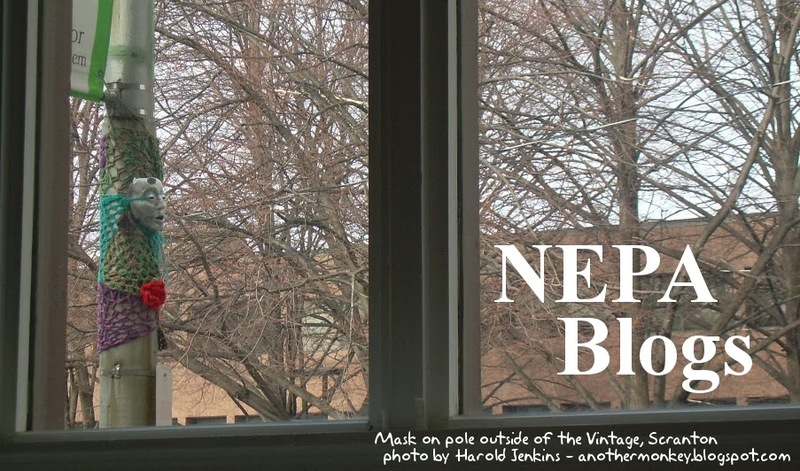 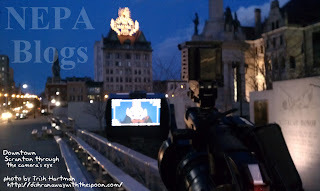 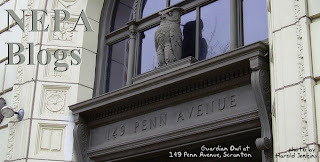 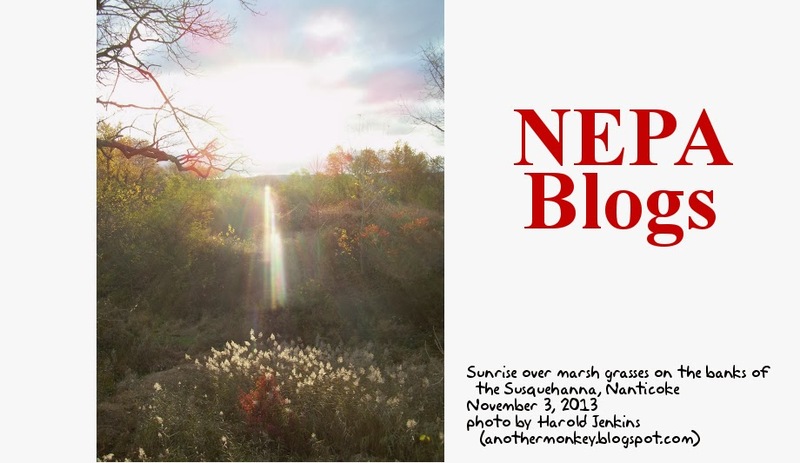 The words "NEPA Blogs" appear in 96-point Times Roman Bold, while a description of the image and its location in NEPA is included on the image (whenever possible) in 18-point Akbar - a font based on the handwriting of Matt Groening, creator of the Life in Hell comic strip and "The Simpsons." 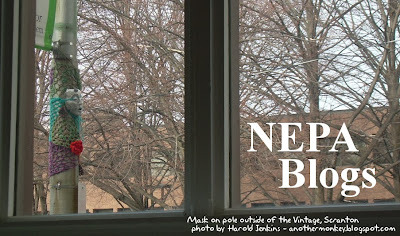 If desired, credit, copyright, and website information can be included as well, sometimes in an appended bit of blank space at the bottom. 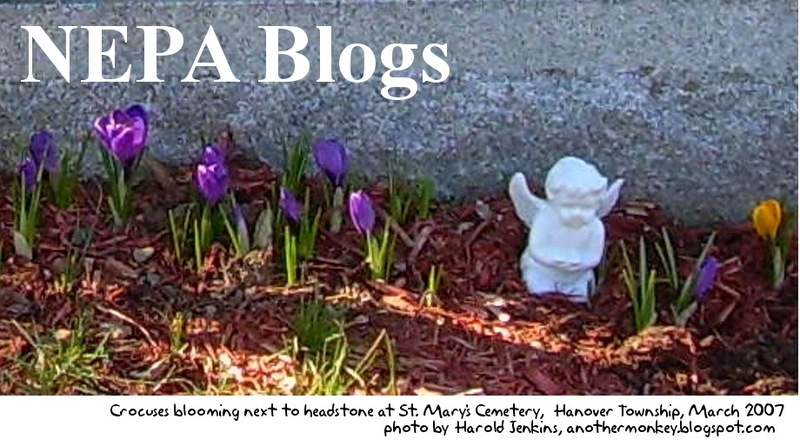 We're always looking for submissions for the header. 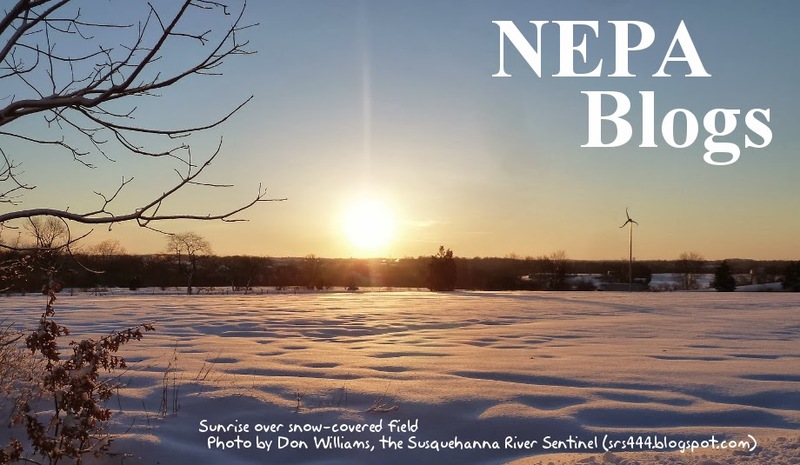 Complete instructions are here, though these are just general guidelines; we can (and do) crop and resize images to fit the header, and creatively dodge around the image to avoid obscuring anything critical. 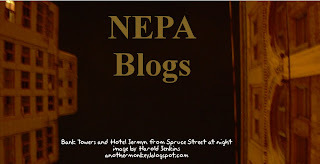 Not all of these images actually come from bloggers; one of the most striking was posted to Facebook by a non-blogger in the aftermath of the September floods, and was used after securing permission from him. 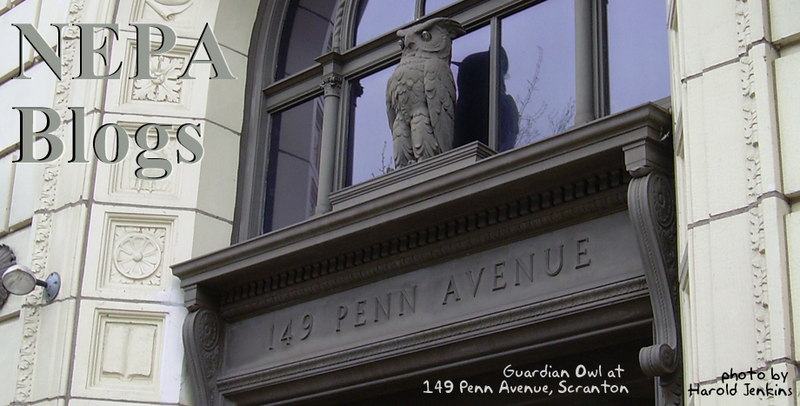 We've been posting past headers to an archive on Facebook, but not everyone is on Facebook, so this isn't available to everyone. So, after the jump, I will begin adding all of the headers we've used in the past. This will be a huge and ever-growing post, so I may have to break it up. 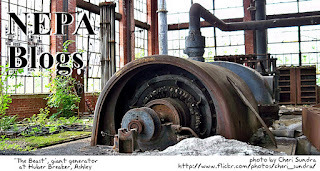 Also, I may have forgotten to archive an image here or there - it wouldn't be lost in that case, just sitting in the "unused/current" folder instead of the "past" folder. We'll post them all eventually. 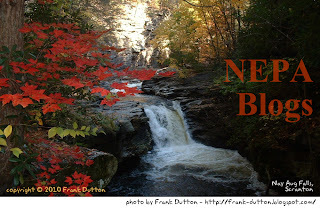 But please submit new ones so we don't have to start repeating them! 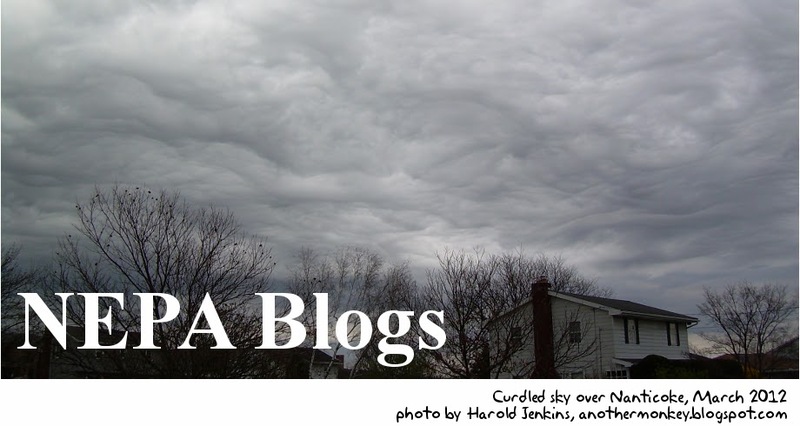 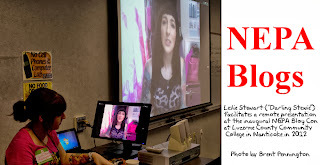 For headers from May 7, 2014 on, see Past headers, Part 2. 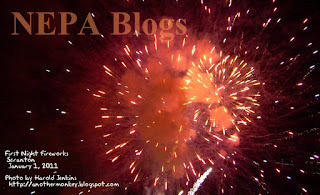 PA Live! 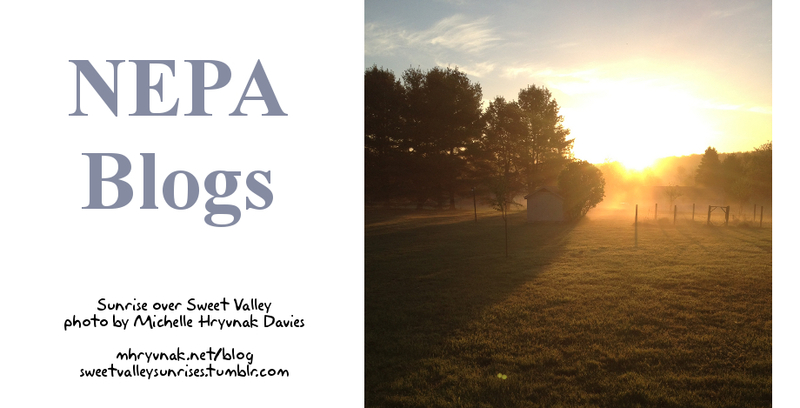 Blog of the Week: A Girl's Gotta Spa! 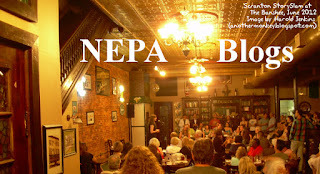 REMINDER: Dale Wilsey Jr.'s benefit is TONIGHT!